Katherine Marsh is the Edgar Award-winning author of The Night Tourist; The Twilight Prisoner; Jepp, Who Defied the Stars; and The Doors by the Staircase. Katherine grew up in New York and now lives in Brussels, Belgium, with her husband and two children. 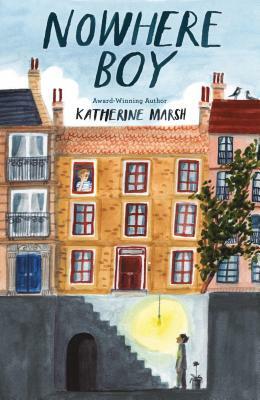 "Nowhere Boy has the authenticity of nonfiction, with all the heart and pulse of a great novel. As a journalist, who has reported on the refugee crisis for years, I was deeply impressed by how real and gripping Marsh's tale felt -- from the very start -- as a father and son clung to a life raft in rough seas. This should be required reading in middle schools across America." - Jake Halpern, winner of the 2018 Pulitzer Prize for his series, "Welcome to the New World," in the New York Times.